The unique visitor center is a museum, gift shop and park office. Hours for the visitor center/museum are seasonal; check with the park office for hours of operation (707-279-4293). 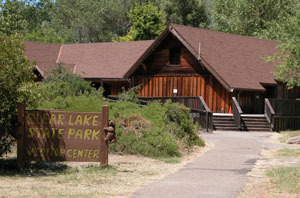 The Visitor Center officially opened May 6, 1989, through major contributions from the Clear Lake State Park Interpretive Association (CLSPIA). CLSPIA continues to raise funds through community programs and fundraisers to upgrade and maintain the Visitor Center, the Education Pavilion and support the staff with other park activities. This diorama portrays a colorful woodland environment at sunset in late summer, where nocturnal animals are crossing paths with the animals that are out during the day. The deer and bear are alert as are the other animals such as the coyote and gray fox. Each animal fits into a specific space in the ecosystem; each animal has a story it can tell. About 1,500 years ago, an Eastern Pomo village (community) called this shoreline of Kelsey Creek and Clear Lake home. This exhibit portrays a young woman in the foreground weaving a gathering basket and a young man seated beside one type of fish trap. 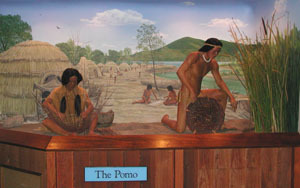 Models for the mannequins were local young Pomo people. 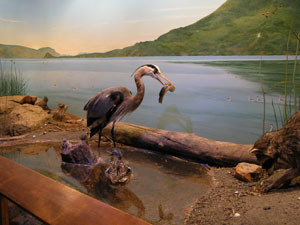 Because many of the animals featured in the Lake Room Wetland Diorama are nocturnal, the mural depicts an early morning scene with the sun rising across Clear Lake from the east with Mount Konocti in the background. 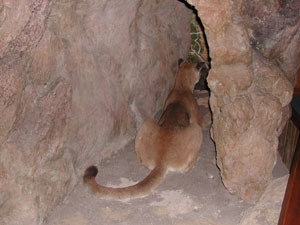 This exhibit, patterned after an actual cave near the park entrance, features a large male mountain lion overlooking the park meadow. Cougars are occasional visitors to the park, but are rarely seen. 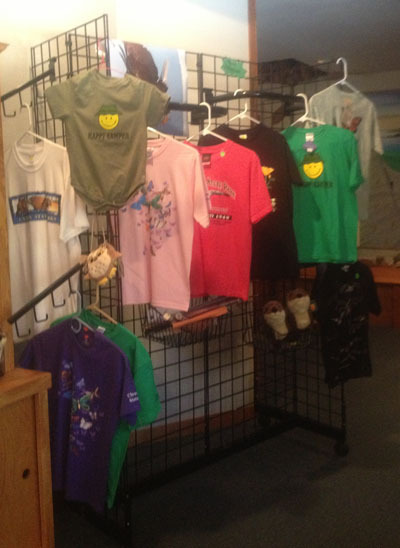 The Visitor Center Gift Shop contains a variety of nature-related merchandise for sale and is staffed by CLSPIA volunteers. Books, clothing, educational fun games and toys, and other memorabilia items are available for adults and children. 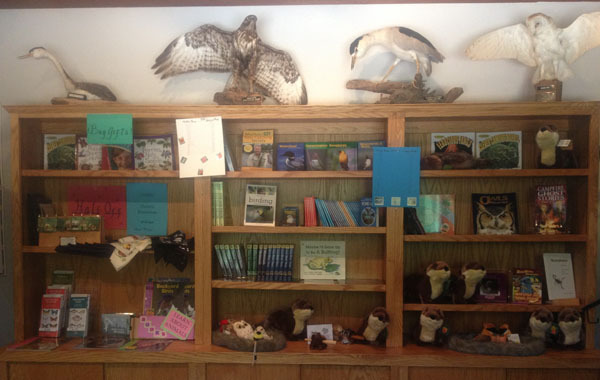 The gift shop has a focus on educational and interpretive items of our environment that can be used in the park or elsewhere in our natural world. Be sure to stop in at the Visitor Center to explore the exhibits, learn about ongoing park programs and browse the gift shop. We love visitors! To become a member of CLSPIA, or to donate to CLSPIA, order online using the Paypal buttons below.